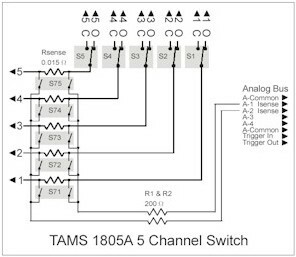 The TAMS 1805A consists of 5 SPDT relays with all connections brought to terminals for maximum flexibility. 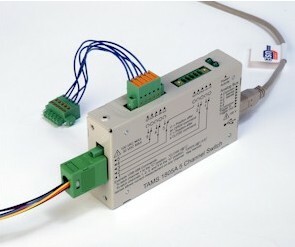 Switch functions are easily controlled through the programmable graphical user interface. - National Instruments VISA Library or Agilent Technologies IO Libaries Version M or higher. USB versions: 2.0 and 1.1 "Full speed"
USB connection: USB Typ "B"